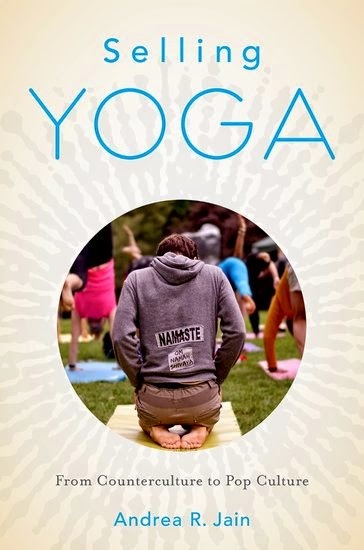 Her new book is Selling Yoga: From Counterculture to Pop Culture. Today there are over two million incarcerated people in the United States. Michelle Alexander’s The New Jim Crow: Mass Incarceration in the Age of Colorblindness provides a responsible and necessary assessment of the intersections of the American criminal justice system and racial caste, concluding that the justice system targets black men. She also shows that the criminal justice system in combination with social stigma serve to relegate incarcerated people to the status of second-class citizens and confine them, not only in the prison industrial complex, but also in a marginalized subculture where they are denied access to mainstream society and its economy. Alexander convincingly argues that, despite claims that the justice system is “colorblind,” it actually functions as a system of racial control and oppression. I am reading The New Jim Crow because my research interests include the use of yoga among incarcerated and formerly incarcerated populations as a rehabilitative method and as an initiative to empower this socially- and economically-marginalized and disenfranchised subculture. My project builds on my previous research, which evaluated how postural yoga became a part of popular culture and brand-name yoga commodities became easily accessible among privileged populations in many urban locations around the world, where yoga is almost de rigueur in practice (see Andrea R. Jain, Selling Yoga: From Counterculture to Pop Culture, Oxford University Press 2014). For many yoga proponents, the claim to possess knowledge of yoga is closely related to their quest for power, status, or money. However, my research showed that there is much more to the yoga industry than who profits. I found that the meaning of yoga is conveyed not only through what products and services consumers choose to purchase, but also through what they choose not to purchase. Many people, in fact, bi-pass the commodification of yoga by attending non-profit yoga studios or rejecting certain yoga products. My research also resulted in a vision of yoga in both profitable and non-profit contexts among privileged populations as a body of practice that is often profoundly religious. Alexander’s The New Jim Crow has been a key source on both the system that perpetuates racial caste in the United States and the consequent disenfranchised subculture, composed largely of black men, so that I can evaluate the use of yoga among certain members of that subculture and understand how yoga might undermine the criminal justice system when it serves as a source of empowerment and healing for those the system oppresses.